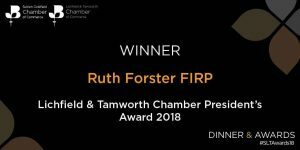 Friday 26th January 2018, saw the Sutton Coldfield and Lichfield & Tamworth Chamber of Commerce Annual Awards. This year’s event was held at The Belfry Hotel & Resort and hosted by former Aston Villa and now freelance sports presenter Jack Woodward. 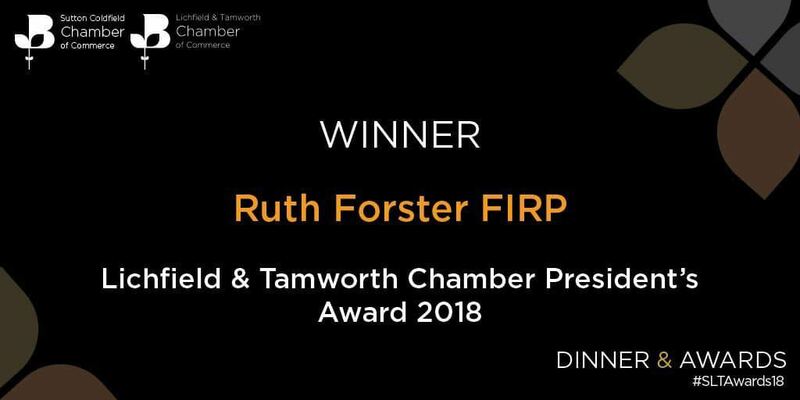 “My biggest congratulations go to Ruth who I have the privilege of getting to know over the past few years and I have seen first-hand the difference she has made. 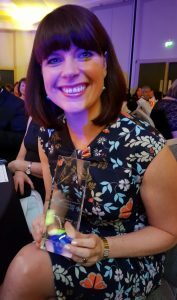 She has been unbelievably instrumental with all of the dedication, passion for young people’s education, skills and careers advice. She has been doing some fabulous work in our school and MAT Chase Terrace Technology College and Stephen Sutton MAT in addition to other schools across the whole district of Burntwood, Lichfield and Tamworth”. A wonderful evening, with a shocked and surprised Ruth! Congratulations to all of the winners including Crown Highways in Burntwood and Pickerings Solicitors, Tamworth.